In 2015, Essilor’s 2.5 New Vision Generation launched its Vision Ambassador program in China, India and Brazil. This inclusive business model has now been adapted to help people in the favelas of Rio get access to the eye care they need. 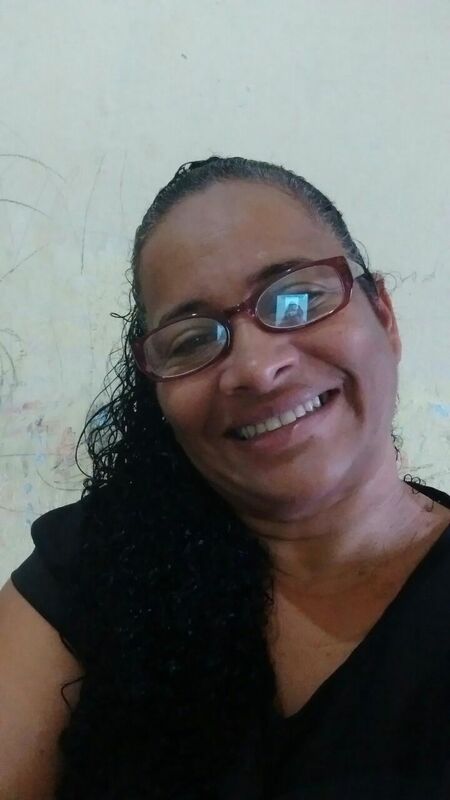 We spoke to Rosana, a Vision Ambassador who told us how she is impacting the lives of people in her community while improving her own livelihood. Rosana is a resident of Morro da Formiga, a favela with a strong community spirit in the Northern zone of Rio de Janeiro. Morro da Formiga is one of 144 sites of Rio’s reforestation program, with cooperatively managed water infrastructure, community gardens, horticulture lessons, and beekeeping. Rosana is well known in the favela. She is a member of the Asplande NGO, a non-profit organization established in 1992. Its mission consists in planning, implementing and monitoring cooperative and community enterprises with a particular focus on business opportunities for women. 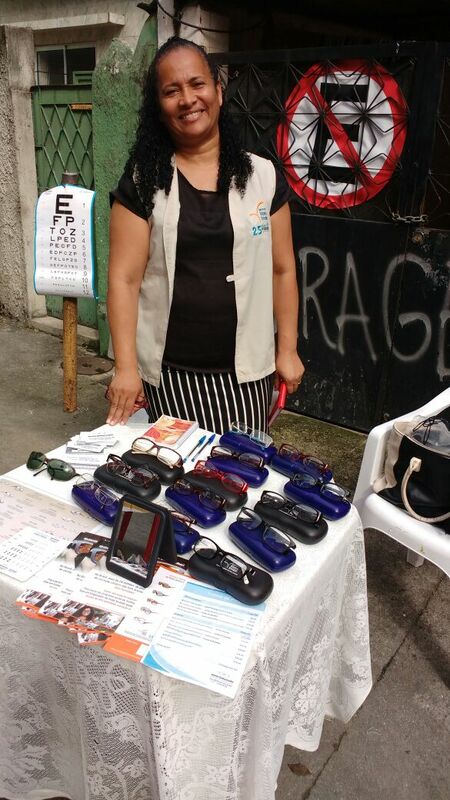 It was thanks to a presentation to Asplande NGO by the Instituto Ver e Viver, a social business created by Essilor’s 2.5 New Vision Generation, that Rosana first heard about the part-time Vision Ambassador program and decided to join up. Rosana has been a Vision Ambassador for four months now. Although she is only able to dedicate a little amount of her time to the program, she has already successfully helped close to 100 people arrange an appointment with an ophthalmologist. And she has sold 58 pairs of glasses to people who are correcting their eyesight for the first time in their lives. In India and China Vision Ambassadors undergo a one day training course after which they are able to carry out basic screening tests and to sell reading glasses and sunglasses to populations living in under-served rural areas. In Brazil, however, people need to have a prescription from an ophthalmologist in order to purchase their glasses. And the cost of glasses is often considered a barrier by the largest population of people with uncorrected vision who live in the underprivileged outskirts of big cities. The role of the Vision Ambassadors in Brazil is therefore to help people in their communities to procure a pair of affordable glasses once they have got their prescription. They do this by using a digital app on their smartphones that has been developed to help read the prescription and propose the appropriate lenses and frames. The program matches my ideology. I always liked to do social work and to promote something that is important to the population. I do not believe in secrets. For me, understanding the work methodology and being ethical are the tools to stand out. Currently Brazil has 77 Vision Ambassadors. 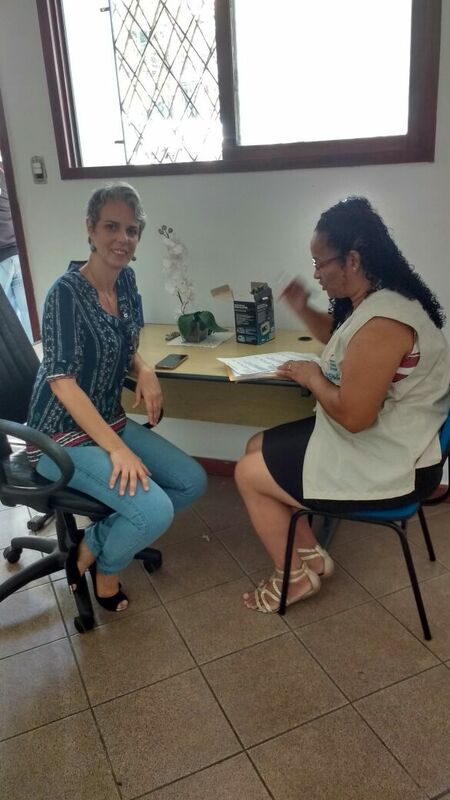 In May 2016, the program sponsored ophthalmological appointments in popular clinics in Rio de Janeiro to enable people to get their first vision test. This is a small step in a country with 201 million inhabitants of whom about 55% require vision correction and 30 to 40 million are not corrected. Thanks to people like Rosana, the 2.5 New Vision Generation and Ver e Viver teams hope to start bridging the gap, and to improve the people of Rio’s favelas’ lives by improving their sight.